Among luxury manufacturers, two of the most recognized brands in the industry are Mercedes-Benz and Lexus. Although both brands feature a comprehensive lineup of sedans, coupes, SUVs, and hybrid variants — making the right decision can seem like a daunting task. To help arm you with all the information you need to make an informed decision, Mercedes-Benz of Akron has assembled this insightful comparison where you’ll learn about all the advantages of driving a Mercedes-Benz instead of a Lexus. Savvy shoppers often take the time to consider the overall brand image of a luxury manufacturer. Brands which offer a renowned reputation for eye-catching styling, premium refinement, and long-term reliability often earn the coveted spot in the garage of a prospective buyer. That’s exactly why the design and engineering team at Mercedes-Benz meticulously assemble vehicles to exacting standards in order to produce some of the highest quality models available on the market. Every year, the experts at Kelley Blue Book announce the results of their annual Brand Image Awards. Highlighting the elegance, sophistication, and advanced tech features found on every Mercedes-Benz vehicle, Kelley Blue Book chose Mercedes-Benz as the Most Refined Luxury Brand for 2018. Sitting atop all other luxury brands including Lexus — Mercedes-Benz is the best choice for drivers who demand the best from their luxury vehicle. Regardless of how many miles you drive per year, staying safe and protected from the unknown on the roadways is a primary concern of most drivers. When transporting your family, driving a vehicle equipped with the most cutting-edge safety technologies and exacting build quality standards can instill a sense of confidence and peace of mind behind the wheel. Since day one, Mercedes-Benz has remained at the forefront of pioneering the development of countless safety features which are now commonplace throughout the automotive industry. Below, you will find a list of only a handful of safety milestones which made their debut on a Mercedes-Benz vehicle. With such a commitment to safety, it’s no surprise that Mercedes-Benz received more 2018 Top Safety Pick+ awards from the Insurance Institute for Highway Safety (IIHS) than Lexus. 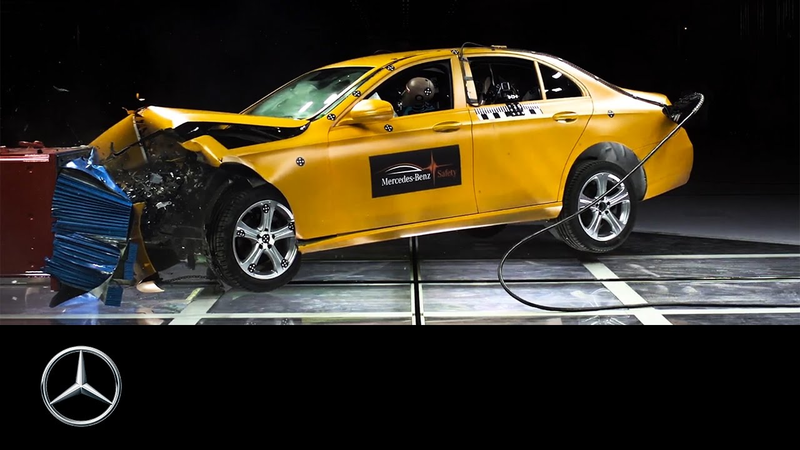 The Mercedes-Benz E-Class, GLC, and GLE have each achieved top honors in the most rigorous test for vehicle safety in the United States. 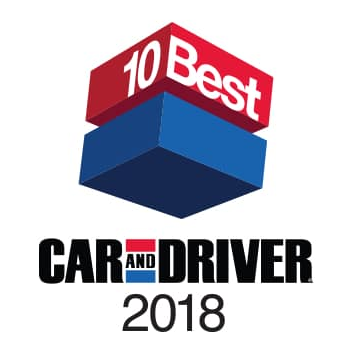 Since 1983, the team of experts at Car and Driver have announced their top vehicle choices in their annual 10Best list. Hand-selected from a diverse group of satisfying and special vehicles, only the best-of-the-best are chosen for their unmatched blend of driving enjoyment, value, and fulfillment of their intended mission. While Mercedes-Benz was named to this prestigious 10Best Cars list, Lexus failed to make the cut. Offering a unique combination of opulence, versatility, and uninhibited driving satisfaction — the 2018 Mercedes-Benz E 400 and AMG® E 43 impressed the critics at Car and Driver. 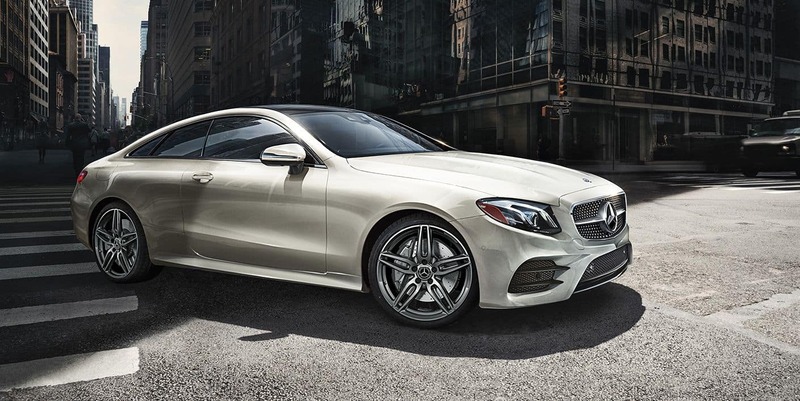 Infused with legendary Mercedes-Benz elegance and a stunning collection of technologies, these E-Class models offer inspired performance that ranges from mild to wild. Whether you prefer the spacious four-door, dramatic coupe, airy convertible, practical station wagon, or performance-focused AMG® E 43 — Mercedes-Benz has an E-Class that’s perfectly suited to your lifestyle. Timeless excellence has been synonymous with the Mercedes-Benz brand for decades. Representing the pinnacle of luxurious travel, the Mercedes-Benz S-Class has remained the brand’s flagship sedan for decades. Sophisticated attributes of every S-Class include uncompromised refinement, cutting-edge engineering, proven performance, and now the latest in semi-autonomous driver-assist systems. In the New York Daily News 2018 DNA Awards, the Mercedes-Benz S-Class has been named Best Luxury Car of 2018.